This week we have special guest speaker, Susan Lower. Susan is the Director of Real Estate for Roanoke City Government. 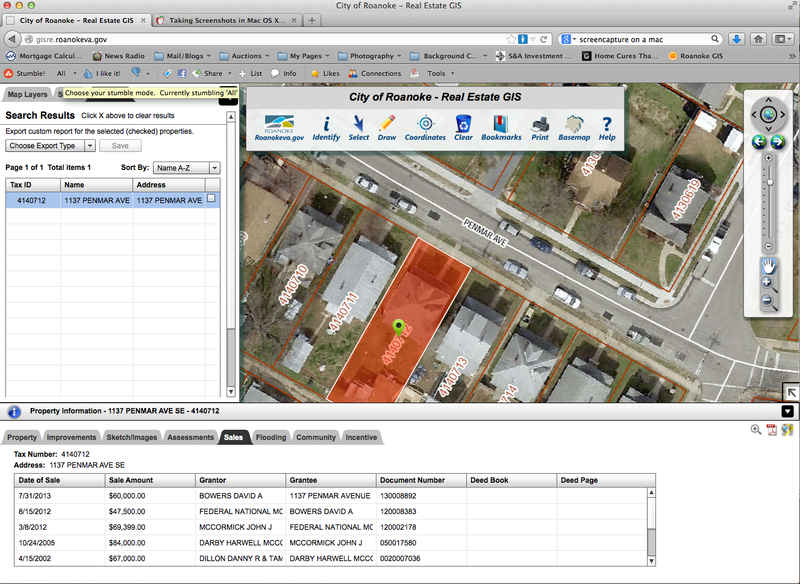 Susan will be back with us this week to talk about the functionality of the NEW Roanoke City GIS. She is going to teach us how to use it and will cover what has been added and hopefully not subtracted. I see some missing things like the ability to download the Geographical Information System database. Downloading the database is important as it allows us to come up with currant statistics on how many owner occupied property there is in a neighborhood vs. rentals. It also allows for lots of other useful statistical information. And for those real estate professionals who are setting up mailing lists to purchase a particular kind of property, the ability to download the database is critical. Maybe it is still there. I don't know. Hopefully so. The one thing I can truly say that Roanoke City has done well with is the GIS. It is a very useful tool. Last Week we had a fantastic meeting at Shakers. Let me tell you, I was really impressed with the restaurant. They handled our group very well. The waitstaff was very professional, the food was good and the atmosphere was exactly what we needed. Susan and the guy she brought, sorry I forgot his name, covered the functionality of the new GIS. I was very happy to see that everything is still there and they hit another home run on this one!!! It is now even easier to operate and obtain most kinds of needed statistical information. Susan also gave us an idea of what was to come and it sounds great.